It is definitely summer here in Texas. Although we have not broken our first 100-degree day, it still feels like you are melting when you set foot out the door. I despise cooking in my kitchen for hours as many of you already know. I prefer recipes that are easy, simple, quick, and of course foods that my whole family loves. With that being said, I also do not like to heat up the kitchen when the weather is already hot! Easy recipes that can be converted to the slow cooker are my solution! 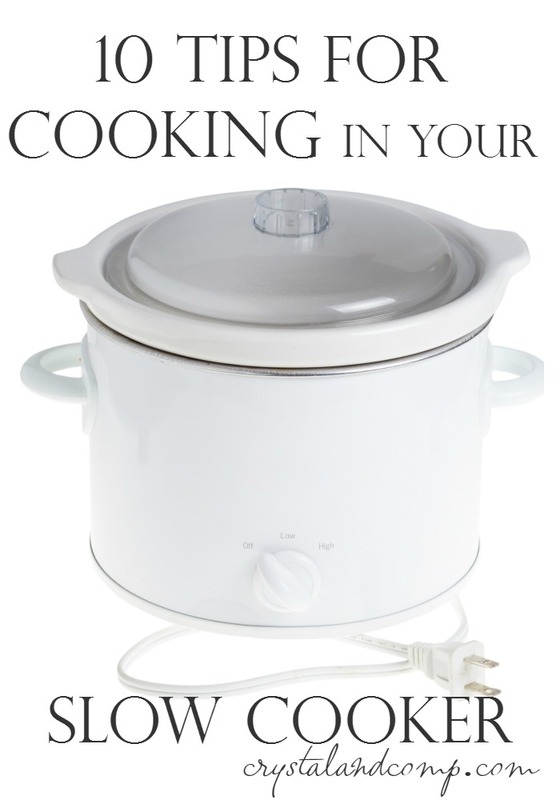 Do you cook in your crockpot or slow cooker? This is one of the first ways I learned to cook! So easy, so simple, and delicious! Lately we have been using my handy Crockpot Casserole Slow Cooker (game changer!!) for whipping up delicious meals without the heat in my kitchen. This thing is truly amazing and I am totally in love. It can be programmed anywhere from 30 minutes to 20 hours depending on what you are cooking, or you can buy the one that is not programmable. Plus it’s a cook and carry system which makes it perfectly portable! Are you in search is something amazing to whip up for breakfast, lunch, or dinner. 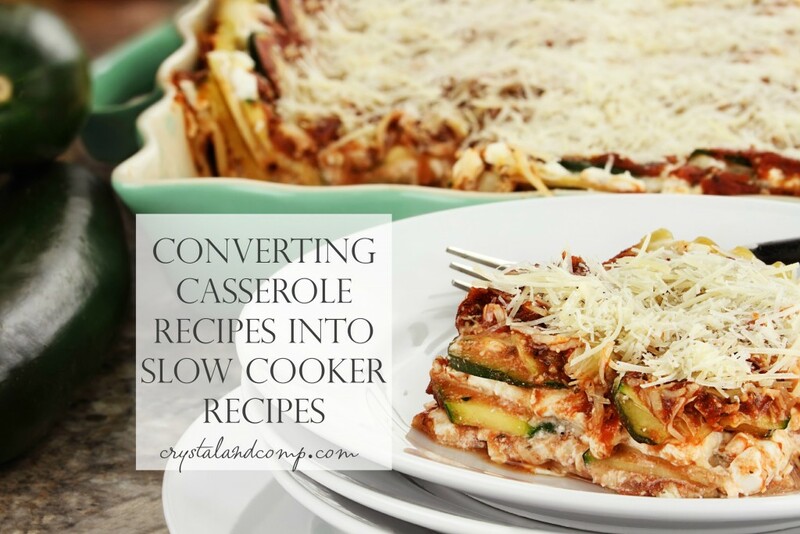 Check this list of over 20 casserole recipes that work perfectly in the slow cooker! Remember, anything that can be cooked in the oven can be cooked in the slow cooker! 2. This Easy Green Bean Casserole is a super flexible recipe and perfect for family gatherings. Crystal & Co.
8. Your family will love this Hashbrown Casserole that is truly Texas sized! Crystal & Co.
14. Dessert in the crockpot? Yes! Try this yummy Blueberry Cobbler. Crystal & Co.
15. This Crockpot Crushed Tomato & Chicken Soup makes a great lunch entree with a grilled cheese sandwich! Crystal & Co.
16. This Easy Corn Casserole was made in the oven but can also be used for your next slow cooker casserole. Crystal & Co.
17. Your kids will love this recipe for Crockpot Ravioli. Just throw together and go! Crystal & Co.
21. Cabbage and Beef Casserole is awesome for this time of year as well. Perfect way to use up cabbage from the farmers market. 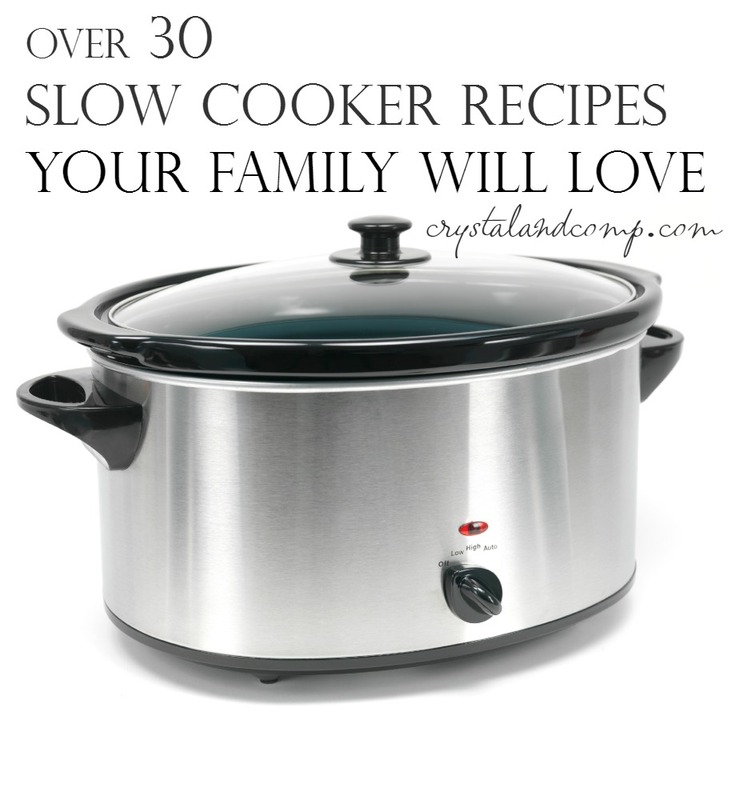 Crystal & Co.
What are your slow cooker recipes? Please share your ideas or tips with us! If you have questions about your slow cooker or you are looking for tips check out my 10 Tips For Cooking in the Slow Cooker. Or check out my 31 Crockpot Recipes perfect for your next meal plan! I haven’t pulled out my crock pot yet! (hangs head in shame) It’s too hot to be slaving in the kitchen over the stove, even inside with air conditioning. This motivates me to pull mine out. Yes! I am so excited this has encouraged you to pull out the slow cooker! It really is a life saver at my house. I love my slow cooker. I use it all of the time. I am always looking for new recipes. Thanks for sharing this on the #HomeMattersParty linky and I hope you will come back and share again. Melissa Vera recently posted..Keep Your Kids Busy This Summer! 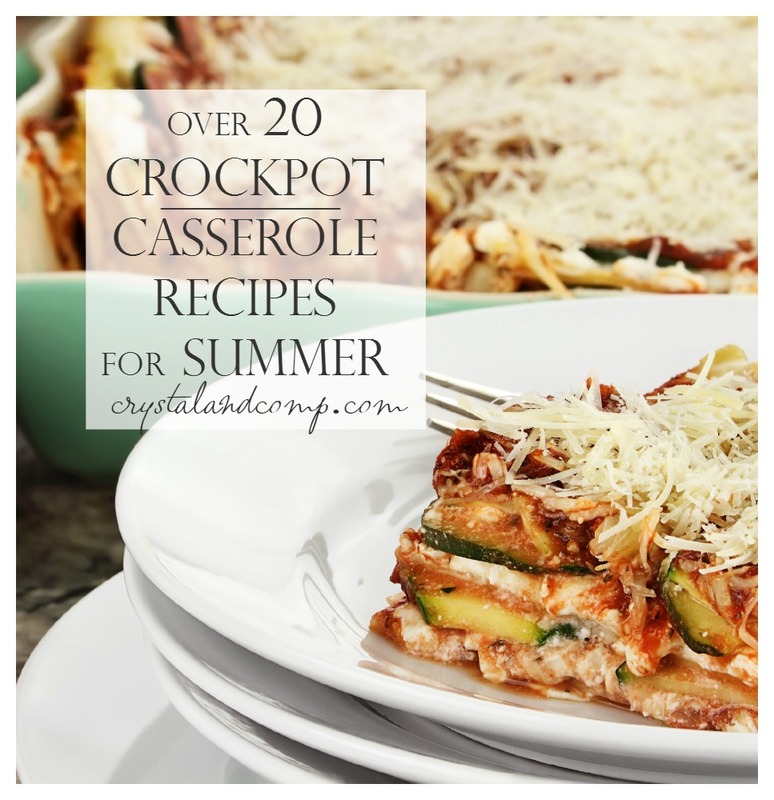 we are always on the look out for great crockpot recipes! thanks for sharing all the yumminess with us at Snickerdoodle!